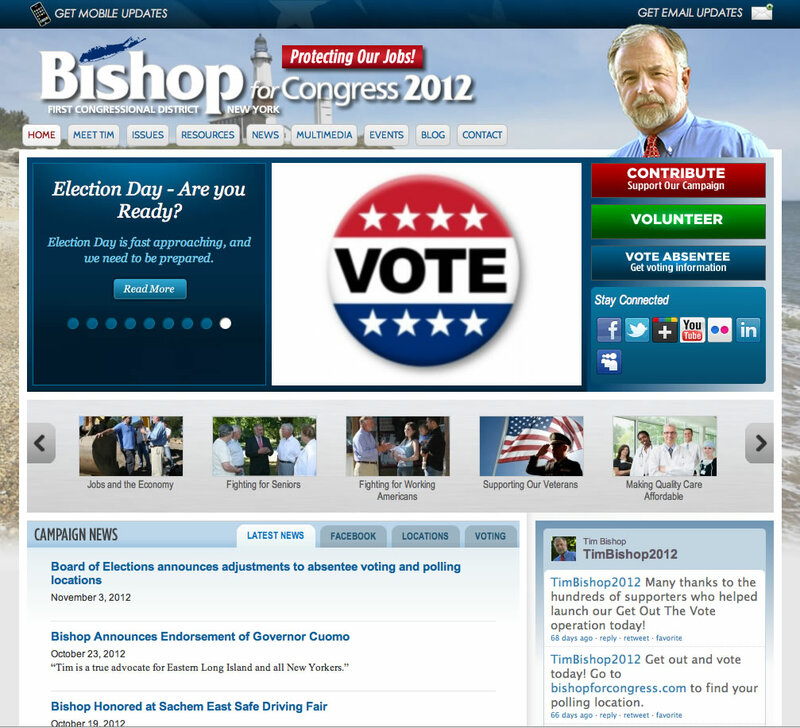 Marking the 10th Anniversary of Congressman Tim Bishop's tenure in the House of Representatives, InterCreative launches Bishop for Congress, the first Congressional campaign site (that we know of) to utilize responsive design and full HTML5 compatibility - the new web standard. What is responsive design? What is means is this: the site will adapt itself to display appropriately no matter what device it's viewed on. From desktop to iPhone to iPad and everything in between, content is sized and formatted to fit the screen, so there's no more scaling or zooming on mobile devices. But there's more. To combat the flood of GOP disinformation, ICR created a "Debunking" feature on the site where right-wing myths are presented and debunked in a clear, concise manner. Considering the early heat of the 2012 election cycle, we're sure there will be plenty of action on these pages from now through Election Day. ICR is honored to be doing what we can to help get the message out on behalf of one of our favorite hard-working members of the House Democratic Caucus. Stay tuned... more to come!